Drink in this awesome product! The 14 oz. Mood Hurricane Cup will "blow" your customers away. 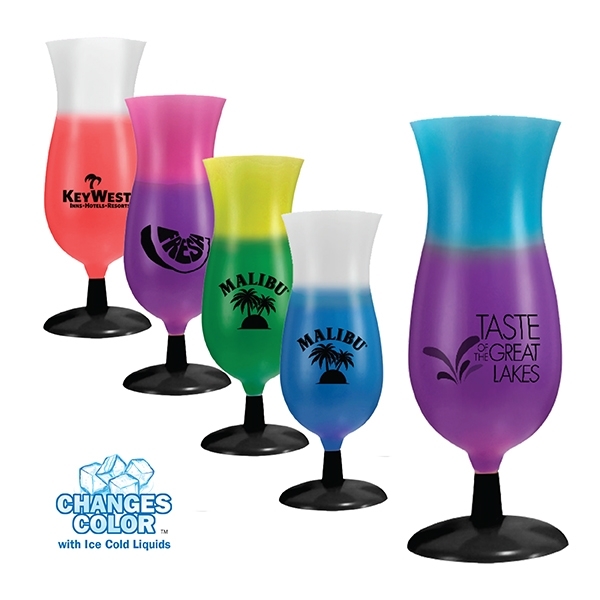 This cool USA-made cup changes color with ice cold liquids and is BPA free and top shelf dishwasher safe. With your imprinted logo or brand name, the finished product makes a great addition to bars, restaurants and parties. Warning: Severe weather conditions may effect the mood change. Invest in this colorful promo today! Ship Weight:Simple assembly required. Boxes are subject to "Dimensional Weight" charges.